You can do a lot of things with images these days, but there are still times when the image file is too cumbersome or doesn’t have all the functionality it needs. If this is the case, knowing how to convert images to PDF might solve whatever problem you’re having. First, it’s important to note that an “image file” isn’t just restricted to the types of images you’re used to seeing from cameras and phones. People frequently take print screens of Word and Excel documents because they want to share something that was on the page. The problem is that this print-screen function turns every element on the page into one big image. Since people are usually more comfortable with Microsoft Word, they also use that software to create brochures and flyers and then turn those into images. That works great, unless you need to access something on the page or if you need the ability to use search functionality on the page. An image file doesn’t allow this, but if you know how to convert images to PDF, you can search for whatever you need. Another reason to learn how to convert images to PDF is to make it more portable. Many of the mobile devices we use today are very specific as to what types of files they can read and image files are a frequent problem. 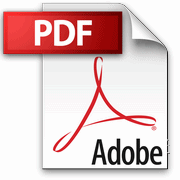 If you know how to convert images to PDF, any device that can read a PDF can view the file. If you’re creating a document that will be used as marketing or promotion of some kind, you would probably like to include links to the website where people can find out more information and/or register. An image won’t allow you to include these hyperlinks. However, if you learn how to convert images to PDF, you can include the hyperlinks and get more exposure for your website, event or organization. Now that you have a better handle on the benefits of converting image files to PDF, it’s time to learn how to easily accomplish this task. The first thing you need is to identify a great online conversion tool. There are many of these tools available, but you will need to make sure the tool you choose has all the features you need, both today, and in the future. It makes sense to choose one that is easy to use and that handles many different types of documents, audio, video and ebook conversions. That way, when you have other conversion needs in the future, you already have a conversion tool at your fingertips that you already know how to use. When you need to start converting iages to PDF, you simply need to tell the conversion tool which image it needs to convert. This can usually be done by browsing the files on your computer in the same manner as when you select a document from Word or Excel. Once you select the image file that needs to be converted, just tell the conversion tool that you want the image to be converted to a PDF format. The tool will then make the conversion for you! Now that you know how to convert images to PDF files, you have much more flexibility with the documents you create.